Author Donna Bowman debuted her newest book, Tragedy on Luckie Street, Saturday in Atlanta. The book details the fatal fire and explosion that destroyed the Davis Brothers Cafeteria in 1971. 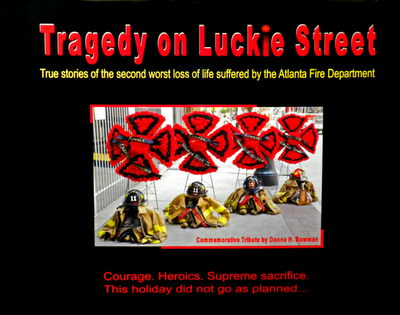 She was joined by former Atlanta firefighters and others with vivid memories of the tragedy. Bowman was interviewed by Atlanta's WAGA-TV. Click here. Winecoff Fire co-author, Allen B. Goodwin, spoke in support of Bowman's effort. His remarks are here.